This Enrollment Statistical Summary provides delivery and administrative-site information on enrollment headcount and student credit hours. Delivery site reporting counts all students, including those in UNL programs delivered at UNO, but excludes UNO programs only (including the CPACS program delivered in Lincoln). The purpose of this summary is to provide the undergraduate and graduate enrollments and student credit hour information by college of equivalent academic unit, class, gender and ethnicity. A glossary at the end of the report provides a list of definitions for headings and categories found in the report. 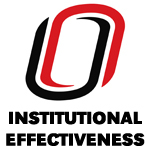 Office of Institutional Effectiveness, UNO, "Enrollment Profile Report Spring 2019" (2019). Enrollment Reports. 135.